Char’s Liquor, 3/4/17 Entrance covered by police monitoring the store as a crime scene. 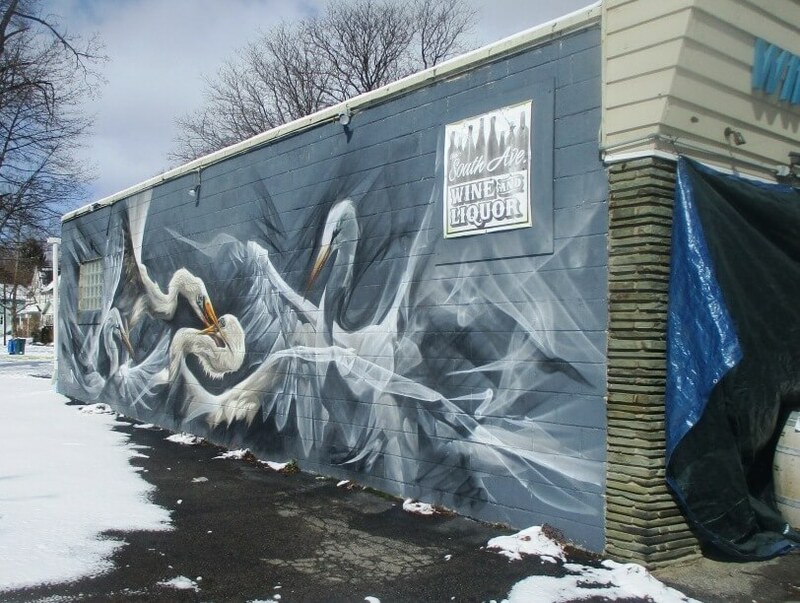 Mural by Mr. Prvrt and Li-Hill on the southside. 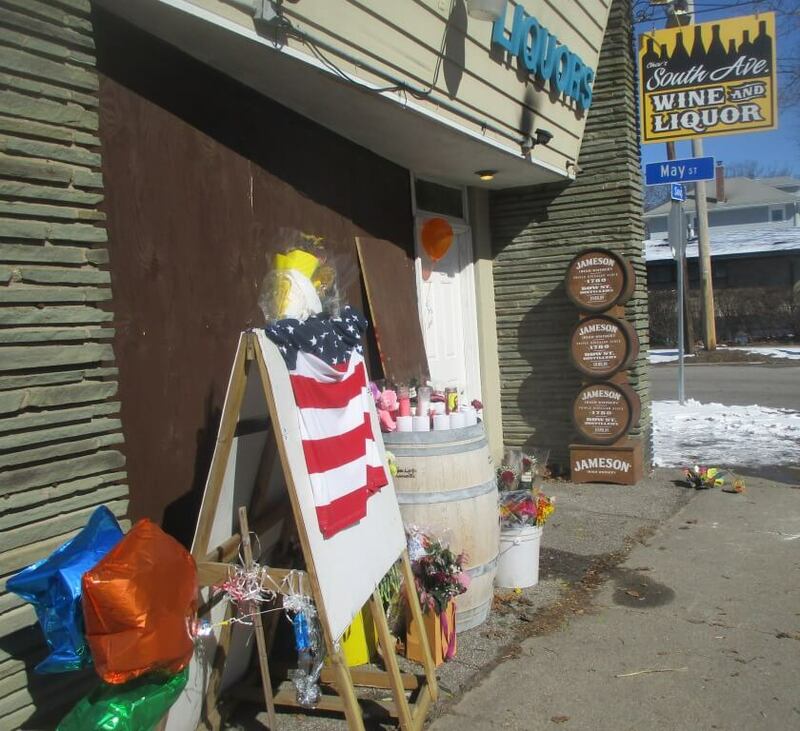 As reported in today’s Democrat and Chronicle, Charlotte Lahr, the owner of Char’s Liquor on South Avenue across from Highland Park, was apparently brutally murdered by a suspect under custody. Today, Marina Vesty, like other customers, came by to offer condolences. Many left notes and balloons. According to the article and other news reports, Char, a widow and mother of three fulfilling a dream to be a small business owner, was a kind and beautiful woman whose store was a welcoming beacon in the Highland Park neighborhood. 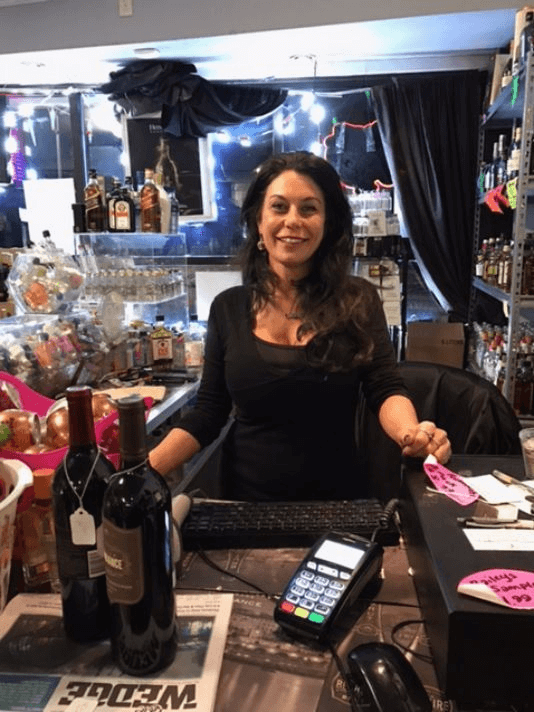 People would often drop by for wine on their way home from work or just to say hi to this vivacious, friendly, and funny lady. As one woman said, Char was just very cool. Sadly, I hadn’t seen Char in about two years but the shock and loss was keen. 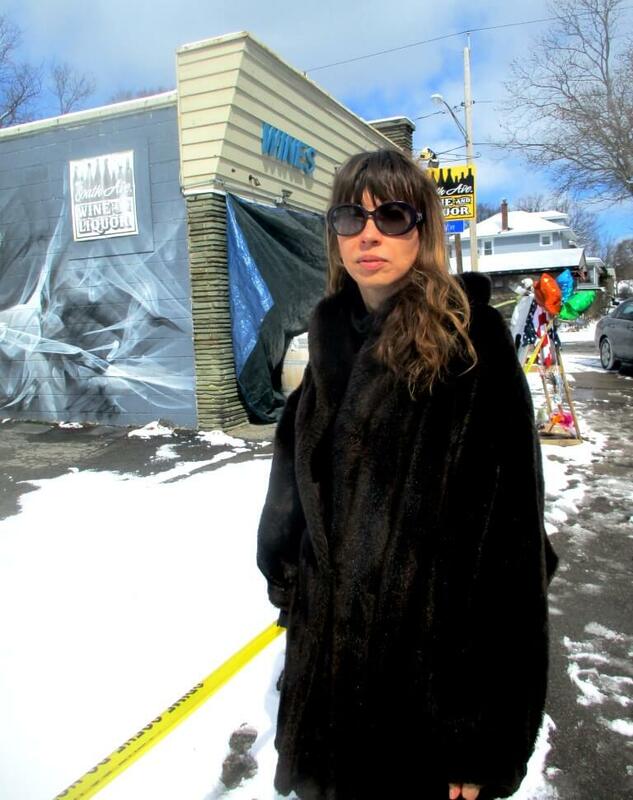 I had met and gotten to know Char a few years ago when she had local artists paint murals on the walls of the store. 3/4/17 Mural by Mr. Prvrt and Downer on the northside. First version of the right wall. from Eyes on the Streets website, 2015. Final version at top. Artwork by Lea Rizzo. As I recall, Char was approached by community artists led by Mr. Prvrt asking if they could decorate the walls of the drab building she had recently bought and turned into Char’s Liquor. 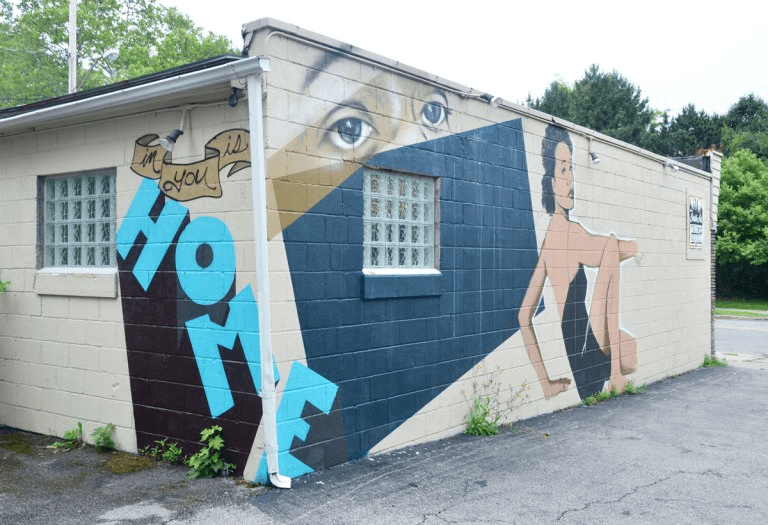 Char readily agreed because she wanted to add some color to the building and, as importantly, she wanted to support the group’s effort to beautify the neighborhood and to give young artists the chance to showcase their work. On my walks in Highland Park, I watched the progress of the murals, chatting with the artists and talking with Char. Every day, Char offered encouragement and praise as the artists painted and repainted the wall several times as their various conceptions changed. This morning, 3/5, I spoke with Colin Axel, an RIT graduating PhD student who lives next to the store. Seeing and chatting regularly with Char, Riley says he and his girlfriend are heartbroken. Yesterday about 30 people gathered to pay their respects, leaving candles and cards. Char will be greatly missed by all who knew her. 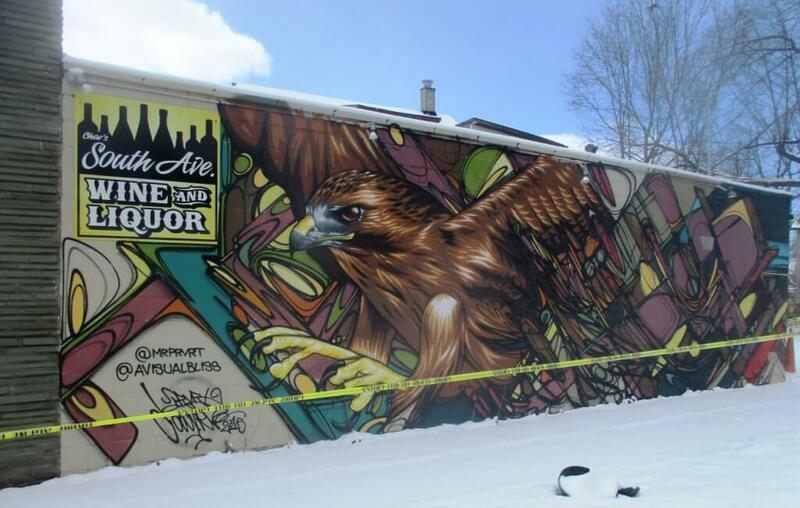 But the murals will live on as testament to her warm and generous soul. A garden for peaceful contemplation on the corner of South and Elmwood.